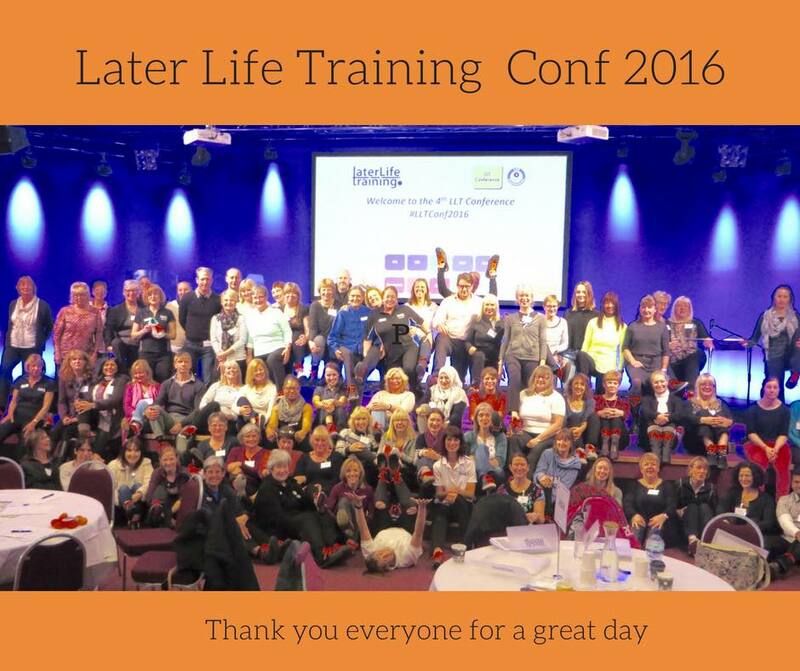 Later Life Training, over the years, has financially supported a number of charities and organisations. We are also proud to have developed close working relationships with other organisations we now call “friends”. Later Life Training has been accepted as a National Member of the Dementia Action Alliance. LLT is working towards becoming a Dementia Friendly organisation which involves a commitment on our part to undertake, meaningful action to improve the lives of people affected by dementia. We have signed up to the National Dementia Declaration Action Plan with a pledge to undertake 3 actions. Read more here. ProFouND, Prevention of Falls Network for Dissemination was an EC funded Thematic Network that completed in 2015 but retains a strong online presence updating falls prevention evidence and runs that annual European Falls Festival. LLT ran a work package delivering Cascade Training in the evidence based Otago Exercise Programme and trained over 100 therapists across 11 countries to continue to deliver training locally. You can read more here. AGILE, a Clinical Interest Group of the Chartered Society of Physiotherapy, is for therapists working with older people – whether qualified physiotherapists, assistants, students or associate members of an allied profession. Later Life Training offer discounts on its courses for members of AGILE and support AGILE conferences in England, Scotland, Wales and Northern Ireland. Dr Dawn Skelton and Susie Dinan (Directors of LLT) were delighted to receive a Certificate of Recognition from AGILE (Chartered Physiotherapists working with Older People) for “Distinguished service in clinical / management / educational practice” in August 2004. LLT Director, Bob Laventure, is a past chair of the group. In 2009, the Charities Help The Aged and Age Concern merged to form Age UK. In 2005 and 2007 Help The Aged organised over £50,000 of bursaries for people to take LLT courses and improve services for fallers in the UK. We continue to work closely with Age UK and Age Scotland on other projects aimed at improving services for fallers and for older people across the UK. We work closely with Skills Active and the Register of Exercise Professionals to ensure our training meets the high standards necessary to meet the needs of those working with the frailer older population. 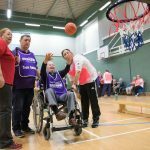 LLT have supported Active Ageing Week in Glasgow. 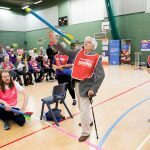 The week highlights a wide variety of physical activity opportunities for older people, whatever their preferences and needs – from exercise groups to guided walks and dance workshops. At the LLT Conference in Coventry in November 2016, we supported the National Osteoporosis Society’s ‘Lace Up For Bones’ campaign by all wearing at least one orange shoe lace! Look closely at the photo! LLT supported the British Red Cross to help their work towards the people of Japan, following the Earthquake and Tsunami. 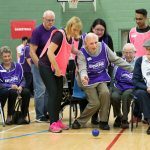 Later Life Training supported the Active Age Festival at Strathclyde University, run by SUSPORT – Scottish Universities Sport. Over 150 people over the age of 60 attended the event. Founded in 1916, Erskine has provided nursing and medical care for former members of our Armed Forces through two world wars and the more recent conflicts and peace keeping initiatives of the twentieth and twenty first centuries. Re-building shattered lives, restoring dignity and providing first class care to ex-Service men and women both young and old have been the cornerstones on which Erskine has built an unrivalled reputation. 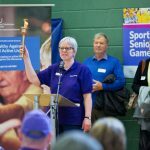 Later Life Training supported their work in 2010 and continue to work with them on the Sporting Senior Games each year (around Oct 1st International Older Peoples Day). In 2009, Dawn and Bob, Directors of LLT, joined the Bighearted Scotland Charity Trek to raise money for Bighearted Scotland. 13 people braved the rapids of the Zambesi (serious white water rafting), trekked into the bush and canoed amongst crocodiles and hippos, following the path of David Livingstone. The 13 intrepid volunteers raised over £35,000 for Bighearted Scotland. To read more, click here. Ebenezer Child Care Trust was founded in March 2001 and was initially a feeding program for street kids in the town of Livingstone, Zambia. Today it has expanded into a school for orphans and also rents out three homes where orphans are given the sense of a family they have lost. A Housemother lives with the children and takes care of them. Later Life Training has supported 4 children through School in 2009/10 after a visit to the Trust by two of the Directors in Nov 2009. We like to support our local community, so from 2008 to present we have supported a prize at the Killin Highland Games. In 2008 we specifically also supported a prize for the oldest competitor. Herbie McLean won this prize for competing in the Hill race and as an “over 60” he came 9th. An article that appeared in the Killin Times reveals all.